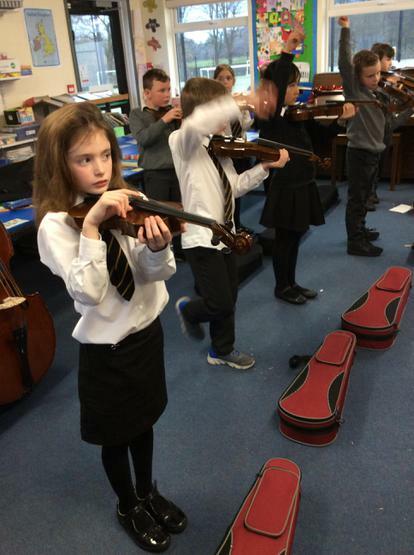 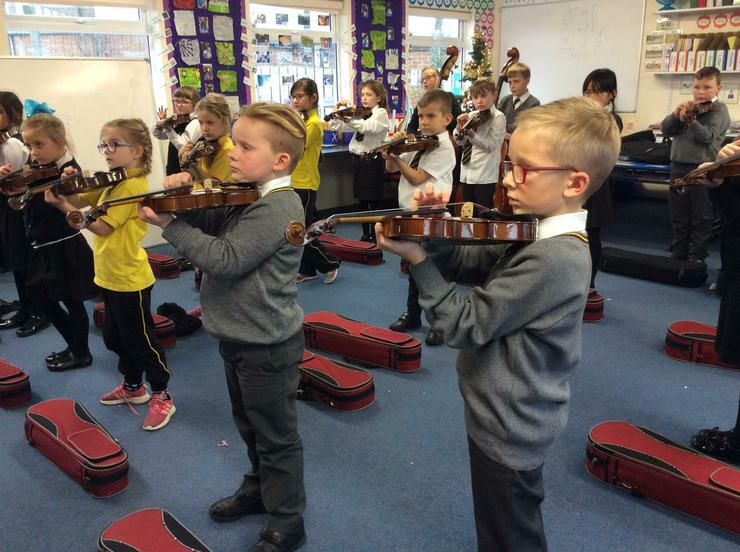 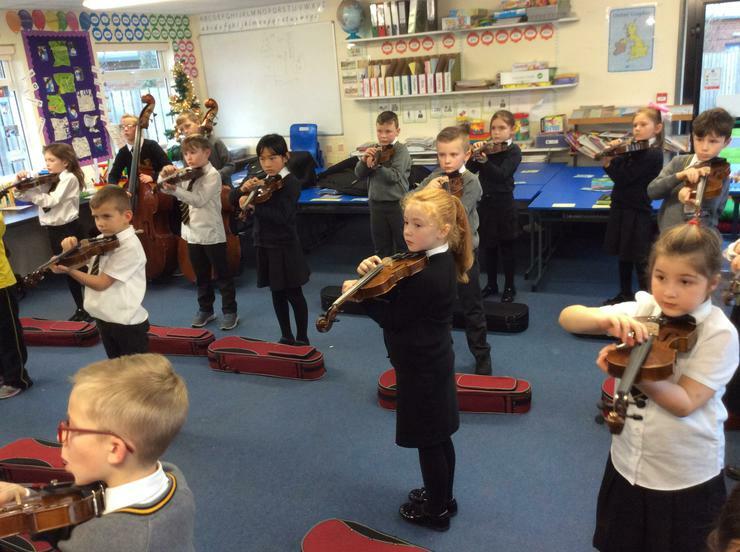 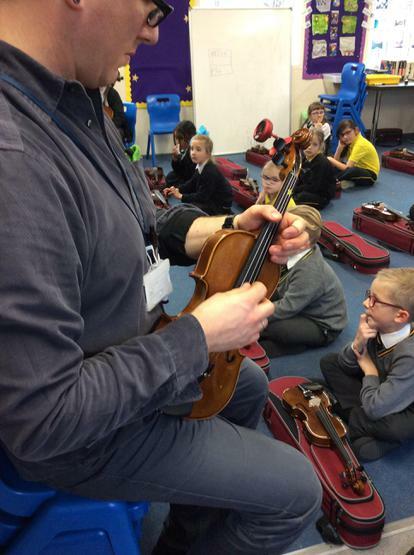 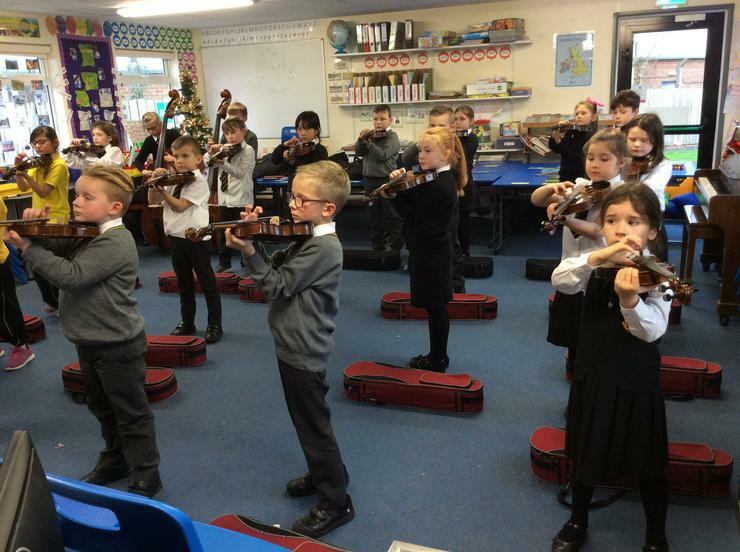 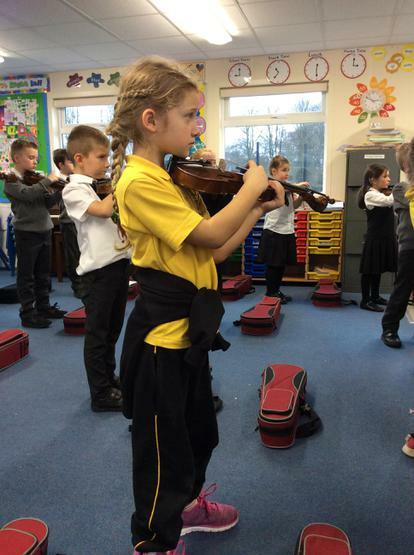 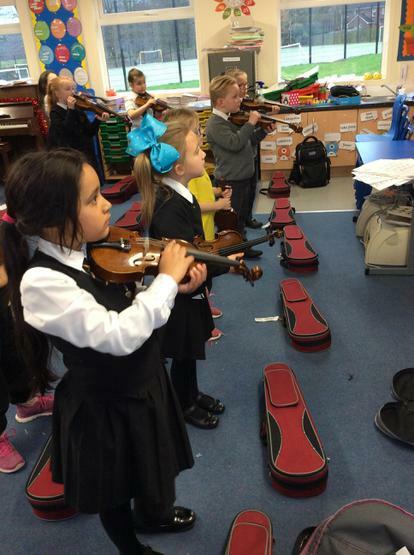 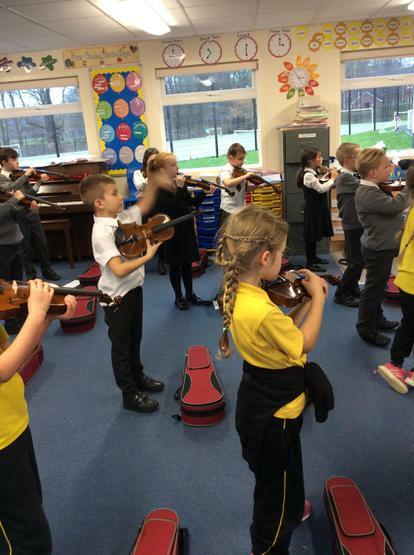 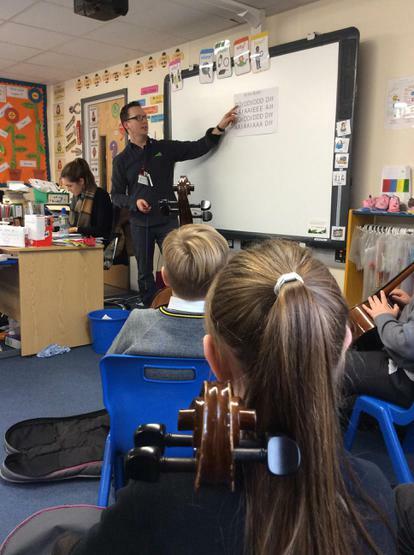 The P4 String Orchestra practise every Monday. 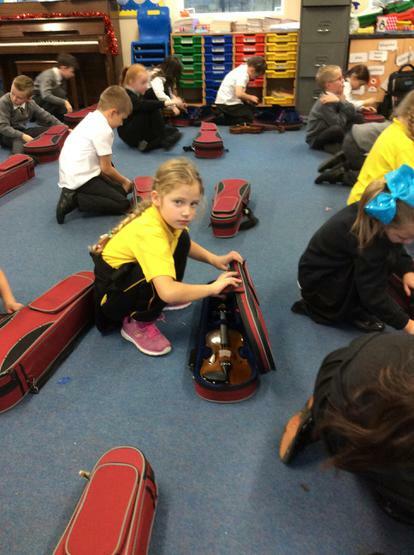 P4G made music using pieces of litter. 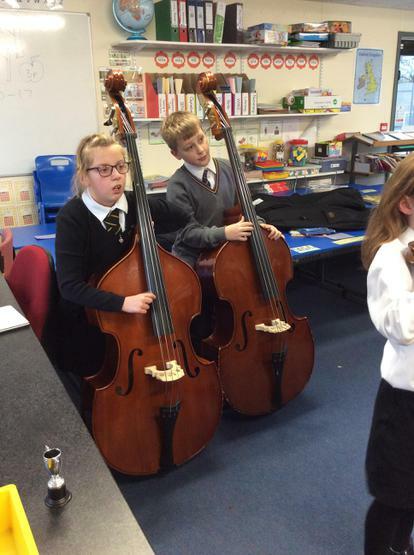 Miss Murphy told us we could reuse items we might usually throw out. 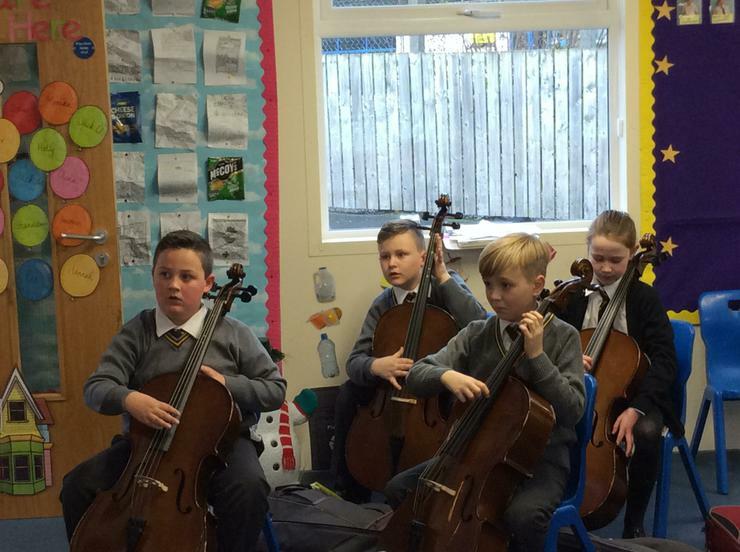 They helped us create a beat.